There are two pre-order options included in this patch update, each with some extra goodies compared to previous expansions, but with an elevated price. Following the announcement of The Boomsday Project with all of its exciting new features, you can now pre-purchase Hearthstone's latest expansion. 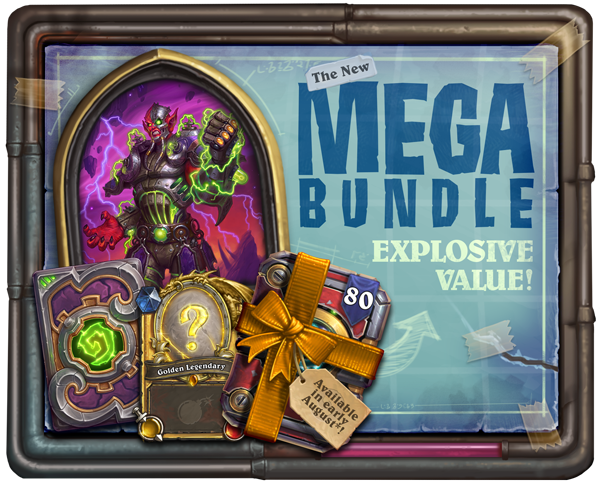 There's the simple bundle which contains 50 Boomsday Project packs, a random Golden Legendary card and the Mecha-Jaraxxus card back. Its cost is at 49.99 EUR/USD. Then, we have the Mega Bundle at 79.99 EUR/USD: 80 packs, a random Golden Legendary card, the Mecha-Jaraxxus card back and the Mecha-Jaraxxus alternate Warlock hero. You can purchase either one or both of these bundles once. This update also contains the previously announced minion type adjustments. Molten Giant and Mountain Giant are now Elementals, Witchwood Piper is a Demon, North Sea Kraken is a Beast, Jungle Moonkin is no longer a Beast and Witchwood Grizzly has new artwork. Lastly, the Midsummer Fire Festival will return in Hearthstone this year too. You can earn double Gold from quests! Behold, our latest invention: The Boomsday Project! Update 11.4 introduces two different bundles to prepare you for Hearthstone’s next expansion, a spicy-new Fire Festival event, and more improvements to card consistency. YOU ALSO FACE MECHA-JARAXXUS, EREDAR LORD AND NEW WARLOCK HERO. Ahem. Read on for details! Two new bundles are now available for Hearthstone’s upcoming expansion, The Boomsday Project that arrives August 7! 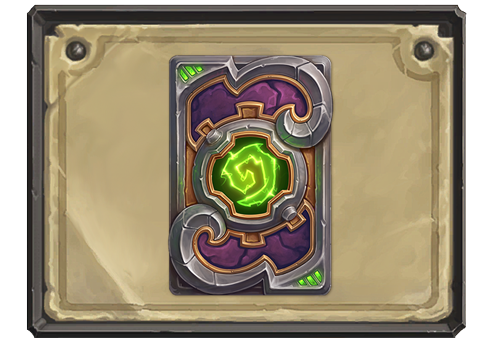 Pre-purchase contains 50 The Boomsday Project card packs at a discounted price, the “Mecha-Jaraxxus” card back, and a random Golden Legendary card from The Boomsday Project! Introducing The Mega-Bundle, which includes 80 The Boomsday Project card packs at a discounted price, the “Mecha-Jaraxxus” card back, a random Golden Legendary card from The Boomsday Project, and the Mecha-Jaraxxus Warlock Hero! Players can purchase one bundle, or both! 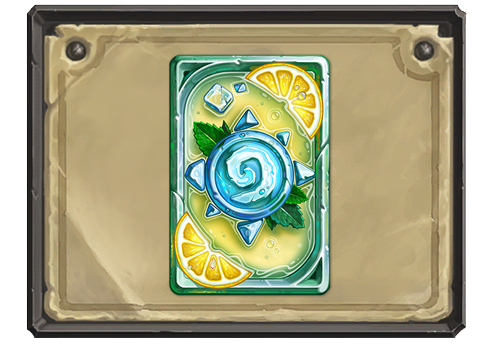 Purchased card packs and accompanying Legendary card can be opened when The Boomsday Project launches. The Mecha-Jaraxxus Warlock Hero and card back can be used right away. The Midsummer Fire Festival returns soon for another scorching hot season of fun! Ragnaros' Fire Festival Tavern Brawl is back! Destroy minions to upgrade your "Wow" emote with fabulous fireworks! Following it up is an all-new challenging PvE Tavern Brawl with a few surprises! Basic daily Quests completed during the Fire Festival event reward double gold! Enjoy the Fire Festival-themed "Greetings" emote and sizzling box dressing! The initial download size of the Hearthstone client for mobile is now smaller. Performance of the Collection manager has been improved. Support for modern phones, such as the iPhone X and the Samsung Galaxy S8 & S9, has been added to utilize more available screen space. Art for Witchwood Grizzly has been adjusted. Resolved an issue where Echoed spells converted by Liliana Voss would remain “ghostly” and were discarded at the end of turn. Resolved an issue where Choose One choices would persist on the board if a player used King Togwaggle to swap decks with the opponent. Resolved an issue where Genn Greymane would not trigger in an even deck if Clockwork Giant was in the opening hand. Resolved an issue where freezing a Rush minion the turn it was played would cause it to skip two attacks. Resolved an issue where the UI would become unresponsive in certain cases when the Windows Game Bar was enabled. Resolved an issue where games that ended in a Draw while Rewind is active would create strange behavior. Resolved an issue where Skelemancers killed by an end of turn effect would crash iOS devices. Resolved an issue with the display of Primordial Glyph and cards that are Discovered. [Monster Hunt] Resolved an issue where Vampiric Fangs would heal Heroes based on the printed health of minions instead of remaining health. Resolved an issue with Lorewalker Cho’s interaction with Unstable Evolution and cards with Echo. Resolved an issue where Weasel Tunneller would cause a deck display issue while in Fatigue. 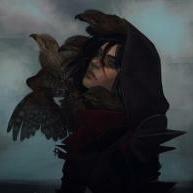 I wonder if there will be an option to buy the new hero separetly. Got lots of dust and gold, so really don't need to buy packs for real money. So is a golden legandary worth as much as the 20 extra packs we got with the Witchwood preorder? The dust cost of an golden legendary is 3200 and the avarage dust from a package is around 100. 3200 > 2000 Hurray!. The 20 "extra" packs are pack 51 to 70. They will include a lots of cards you allready have two of. So we are closer to the "averge dust value of a pack is 100". But not quite. You have a fair change of getting some epics you do not have or the one or two rares you havent got yet. There is a lot of calculations on the net on how may packs you need to open to get a "full expansion". They go from 200 - 280 packs depending how accurately you calculate the effects of pity timers, dusting common golden carts etc. etc. But it is a lot more than the 70 packs. Even if you have saved as much gold as possible since last expansion (6000 - 8000 depending on how you harvest quests and what type of award races blizzard puts in) and add this to the 70 you will not get them all. And if you intended to buy 80 packs with gold also then the 20 extra packages are no. 131 -150. Now they are almost down to only dust and pity timer value. So you have to consider how much you believe in statistics and consider 20 pack to be equal to 2000 dust. Because it could be as low as 2 epics (200), 18 rares (360) and 80 common (400) = 960 if you have all the cards already. Suddently 1600 dust for sure sounds ok.
Ava and the rest of the crew from the Tavern return in the "Win or Lose" animated short. In this short, we see an epic Hearthstone match between Lou and Velaris. The short was shown during the HCT World Championship. This is a Tavern Brawl that gives you a random premade deck that Firebat, Ostkaka and Pavel used in their respective World Championship. Your name changes in the brawl to the World Champion whose deck you are using. This time tom60229's decks were also added. Pavel's Malygos Druid Pavel's Tempo Mage Pavel's Midrange Shaman Pavel's Malygos Rogue Pavel's C'Thun Warrior Ostkaka's Oil Rogue Ostkaka's Patron Warrior Ostkaka's Freeze Mage Firebat's Miracle Rogue Firebat's Undertaker Hunter Firebat's Ramp Druid Firebat's Zoolock Tom's Jade Druid Tom's Razakus Priest Tom's Tempo Rogue Tom's Cubelock From the previous time this Brawl was around, the older the deck, the better it seems to perform.